We had the pleasure of visiting the Cliffs of Moher from Dublin on a day trip as part of a recent trip to Ireland. This gave me the opportunity to see these spectacular cliffs for myself, and also to share with you my experience of doing so. In this post, I’m going to do just that – talk all about our experience visiting the Cliffs of Moher, and give you all the information you need to plan your own trip to this beautiful spot, including tips for how to get from Dublin to the Cliffs of Moher, suggested tours and more! How Far from Dublin are the Cliffs of Moher? How To Get to the Cliffs of Moher from Dublin? What Can you Do at the Cliffs of Moher? The Cliffs of Moher are on Ireland’s west coast, in the Burren region of County Clare. The cliffs stretch for around 14km, or just under 9 miles. Most visitors visit the section near the midpoint of the cliffs, which is also its highest and most spectacular point, although you can walk for some distance in both direction along the clifftop walk here. The closest towns to the cliffs are Lahinch, around 15 minutes drive to the south, and Doolin, around ten minutes to the north. 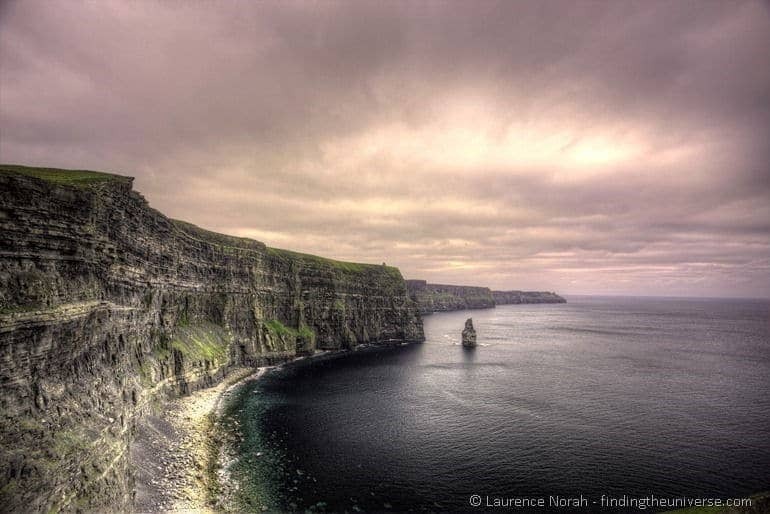 The Cliffs of Moher are about 170 miles, or 270 kilometres from Dublin. Thankfully, much of the route across is by motorway, so it’s only around a three hour drive, depending on traffic. The easiest, and one of the most popular ways, to get from Dublin to the Cliffs of Moher, is to take a day tour. This is what we did with Paddywagon Tours. This is definitely a recommended option – it’s easy, someone else handles driving the Irish roads, and you get a fair amount of time at the cliffs. 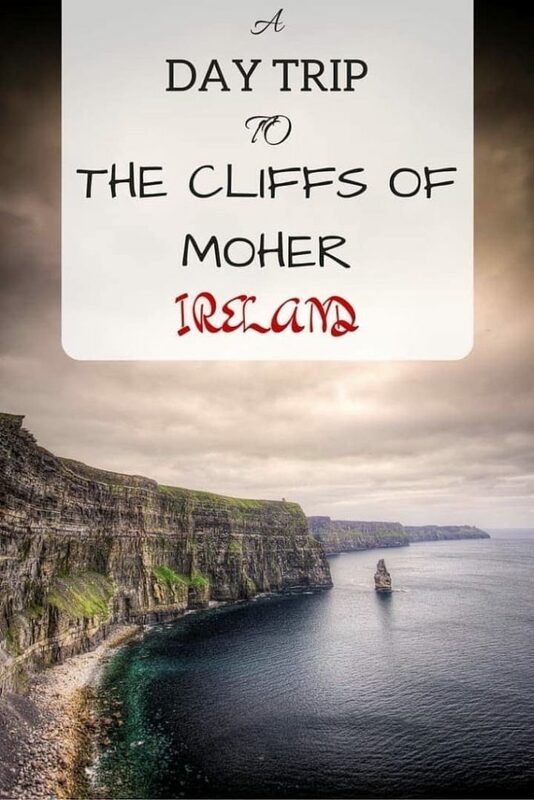 It’s also possible to reach the Cliffs of Moher by public transport from Dublin, although this will take a bit of time as there’s no direct route from Dublin. Buses run from Galway Bus station (route 350), and take just over two hours to get to the Cliffs. From Dublin, you can reach Galway by either direct bus or train. It will take between 2.5 and 3.5 hours depending on the method of transport you take. You can see train times here, and bus times here. Finally, another option is of course to drive. Driving will give you the most flexibility in terms of your schedule, and if you are travelling as a group of between two and five, can even work out more cost effectively than the other options. Take a look at car hire prices here. 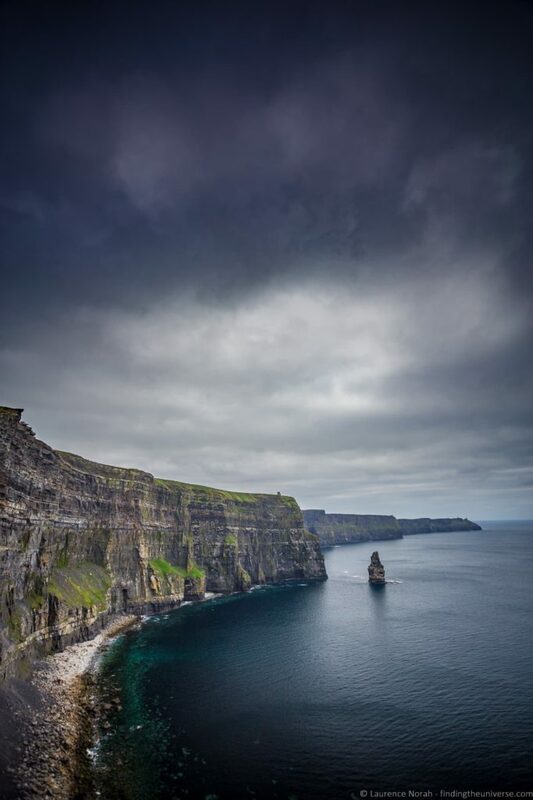 As well as the tour we took with Paddywagon, there are a number of other tours to the Cliffs of Moher from Dublin, which vary in what they offer. Here are some options, but do take a look at all the Cliffs of Moher tours to get some idea of what’s available before making your choice. 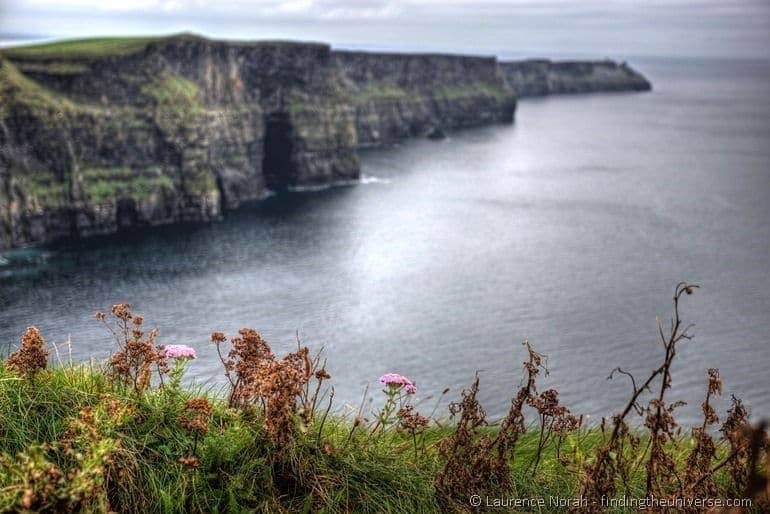 This guided tour is one of the most popular options for taking a trip to the Cliffs of Moher from Dublin, and includes the Cliffs themselves, time to explore Doolin and some time exploring the Burren National Park and this section of the Wild Atlantic Way. If you’d prefer to walk more of the Cliffs, this tour from Dublin will drop you off at Doolin and lets you walk the whole 18km route – quite the experience, and a great way to escape from the more crowded spots of the Cliffs. As you can see, there are a few options for day tours to the Cliffs of Moher, depending on where you depart from and what you want to see. Our advice is to pick a tour with good reviews, that includes a few sights as well as the Cliffs of Moher such as the Burren National Park, as it’s a fair way from Dublin to the Cliffs of Moher, and you’ll want to maximise the trip. The main appeal of the Cliffs of Moher is the incredible scenery, as the cliffs rise around 200 metres above the sea below, with a eye-watering vertical drop. In many places, this drop is almost entirely sheer, so vertigo sufferers may not want to wander too close. Along the Cliffs there’s a clifftop walk, known the Cliffs of Moher Coastal Walk. 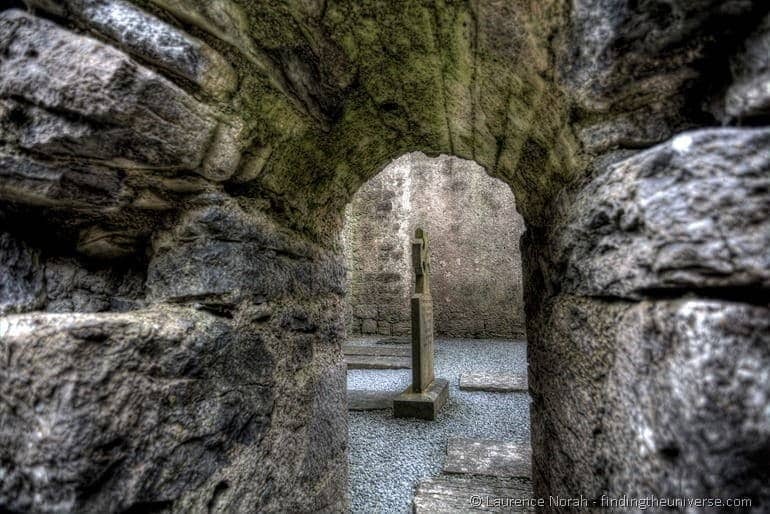 This is an 18km / 11 mile (each way) walk which runs from the town of Doolin to Liscannor. There’s a shuttle bus, the Cliffs of Moher Coastal Walk Shuttle Bus, which has stops at various points along the route, meaning you can tackle all or part of the route and then get the bus back to wherever you started. The Cliffs of Moher is also popular with film buffs, in particular, the movie the Princess Bride was filmed here, with the Cliffs standing in for the Cliffs of Insanity. Some of Harry Potter and the Half Blood Prince is also filmed here, with Harry and Dumbledore apparating at the top of the cliff. Finally, the cliffs are also home to a wide variety of sea birds, with around 30,000 pairs of birds using the cliffs as a breeding ground – including puffins. Don’t get too excited though, they only breed in the more remote and inaccessible parts of the cliff, so only truly committed bird watchers are likely to find them! As I mentioned above, we visited the Cliffs of Moher from Dublin on a day trip which is a good way to see them. A fair amount of time that is, if you don’t happen to meet a man who sends you on a mission to the most scenic point on the Cliffs. I’ll get to that. We were picked up by the Paddywagon bus at 8am in central Dublin, a fairly ungodly hour. It’s quite a long way from one side of the Ireland to the other, and we had to do it both ways in one day. The bus did have free wifi, which made up for the fact that the clouds were low and ominous. I wondered if we’d even be seeing any cliffs – and wondered also as to the luck of friends who’d visited only the day before to a rare (for October) sunny day. Of course, clouds do happen to work well for the kind of photography I like to do, so all was not lost. With a detour via Limerick, it took us four hours, with bathroom break, to get to the Cliffs. Our driver entertained us on the way, but if you’re not into prolonged periods of time sitting on a bus, this might not be for you. Arriving at the Cliffs, we were given ninety minutes to experience them, and offered dire warnings as to the risks before us. To be fair, people fall off these cliffs quite regularly, so the warnings seemed only fair. I pondered if the driver sat in terror for ninety minutes, wondering if this was going to be the journey where he went home with fewer than he had arrived with. These thoughts were only brief in my mind though, as we walked up the path towards the top of the cliffs. Which, I have to admit, were mighty impressive. Even having seen countless pictures of them, I still wasn’t quite prepared for their sheer splendour. At this point I should point out that I am fairly poor at heights, although I tend to stand near the edge of things anyway, to see how it feels. In this case though, my partner threatened me a fate worse than death if I stood too near the edge, so I resisted the temptation. Although, looking at the behaviour of my fellow travellers, who all seemed to want to get a shot as close to the edge as possible, it wasn’t hard to see why people died up here. One wrong foot, and it’s a 200 metre trip straight down onto a fairly unforgiving looking surface. I lugged my tripod around, and tried to get “the shot”, something I was struggling with a bit. Setting my camera equipment up for the umpteenth time, a chap approached me. “Do you want to get the best shot?” he asked. I indicated that yes, perhaps I did. “Come over here” he said, beckoning me right to the edge of precipice. I gulped, and looked around, wondering if this was some sort of Irish cliff serial killer, who preyed on gullible photographers looking for “the shot”. “Don’t worry, I just need to show you the spot” he reassured me. “It’s ok, it’s Roy, he built the walk!” chipped in one of Roy’s companions, who was, I noticed, standing a safe distance back from the cliff. Still, the opportunity to get a great shot overcame me, so I hopped (ok, inched) over to Roy, who was casually standing toe to toe with death on the cliff edge. Calling them the cliffs of insanity seemed apt. “You see that sign over there?” said Roy, pointing off into the distance at a tiny white sign. And with that he resumed his cliff top walk with his companions, and left me to my own devices. I consulted my watch. I had about half an hour left, and the sign looked to be about a kilometre away, and quite a way down. Still, I figured Roy seemed like he knew what he was talking about. He had a Cliffs of Moher rambling badge on and everything. I threw my tripod over my shoulder, and set off towards the sign. After a bit of a scramble, clearly past the most popular part of the walk, and down a hillside that did contain the semblance of a path, we arrived at the sign. Pleasing clouds? Check? Cliffs happily disappearing away to the horizon? Check. Lack of anyone visible in the shot? Check. Totally worth the whole day. Of course, that wasn’t the whole day. We legged it back to the bus, because, well, we’d used up quite a lot of our time heading to “the spot”. From there we were taken to the tiny town of Doolin where we grabbed some sandwiches, and then we further explored the coastline. We stopped off at a ruined church and Dungaire castle, both of which were very, well, church and castley. Everything you would hope from a beach side castle and a ruined church. 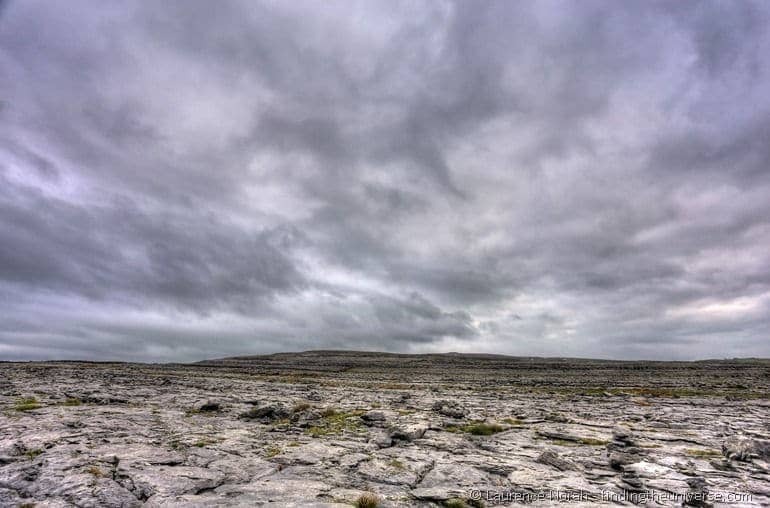 The highlight for me though from the afternoons activities was the limestone landscape of the Burren. I’m normally averse to describing landscapes as being moon like, as I’ve not been to the moon, plus I’m sure the moon is fairly cloud free, but the Burren did have a lunar feel. Seemingly endless limestone plateau of nothing stretched out all around, with the “baby” Cliffs of Moher providing the line between land and sea. Naturally I took a whole bunch more photos. Finally, it was time to head back to Dublin. Like I said, this was a full day, and we didn’t get back into Dublin until 9pm. Most slept on the bus as we returned, which after a full day of sight seeing, was a sensible option. So would I recommend taking a day tour to the Cliffs of Moher from Dublin? Well, of course, that depends on you. For an easy day trip that you don’t have to think about, that includes a number of attractions on the West Coast, as well as free on bus wi-fi, then a tour like the one we did with Paddywagon is definitely worth doing. Our driver was friendly and funny, the tour was clearly well organised, and the bus was comfortable, with plenty of added attractions beyond the Cliffs to keep us occupied. 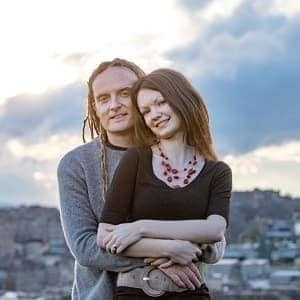 If you prefer more flexibility in your schedule, and the ability to stop and see sights at your leisure, then hiring a car and going at your own speed is likely to work better for you, and you probably weren’t considering a bus tour anyway. 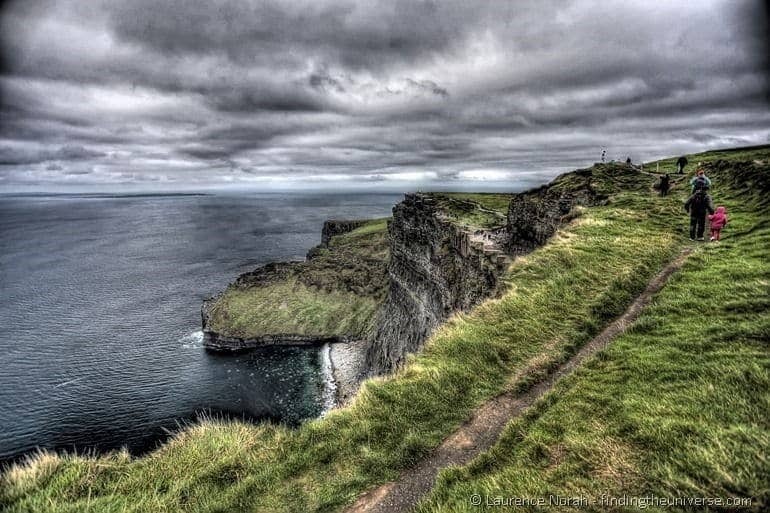 The Cliffs of Moher can be visited from Galway, Dublin and other locations in Dublin quite easily, and there are tours from multiple locations as well. Either way, visiting the Cliffs of Moher should definitely be on your list for your visit to Ireland. 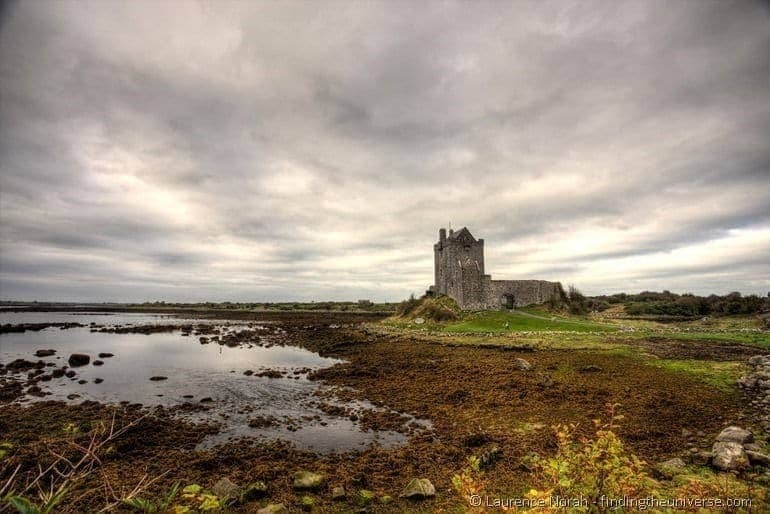 For more ideas on visiting Ireland, check out all our Ireland blog posts! PS – if you’re looking to take a great shot of the Cliffs: from the visitor centre, go up to the right, past the castle, and keep going. Go past all the people looking like they’re going to fall off, and keep going, at one point the path will descend sharply for around 100m, and then curve off round to the left, where you will see a white sign. From that sign, you will get the view. It is, I promise you, entirely worth it. And that sums up our guide to visiting the Cliffs of Moher from Dublin! Before you go though, we wanted to share some resources that you might find useful for planning your trip, both content we’ve created ourselves, and third party books and websites that should come in useful. Note – our trip out to the Cliffs of Moher was provided by Paddywagon in return for us writing about it. The content always remains our own. 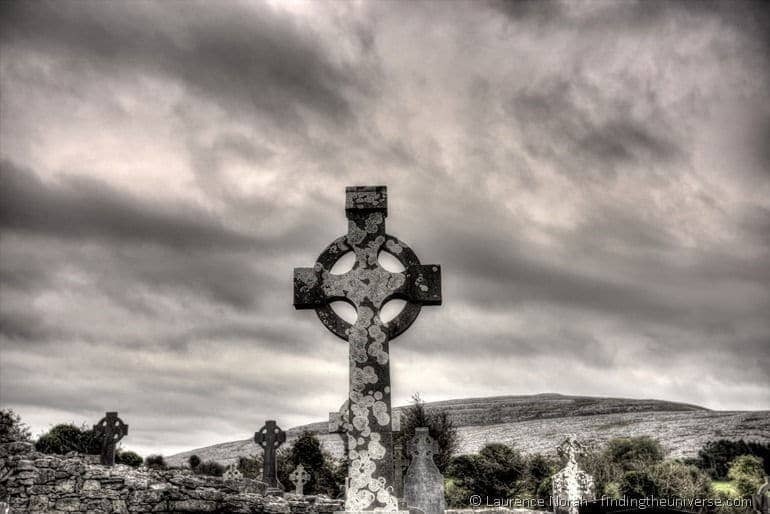 Beautiful photography and Ireland is on my bucket list as a place of my heritage. Thanks for the informative blog and the cliffs will be a must see when I get to go. What a lovely place to propose! Having a rental car will definitely help with seeing everything you want. Enjoy!